Glastonbury Valley in Pilton Somerset is a beautiful glamping site on our family run organic farm, overlooking a stunning secluded valley surrounded by ancient woodland. Close to Glastonbury and Wells, our farm has been featured on TV’s Countryfile and Escape to the Country this year for its produce and beauty. 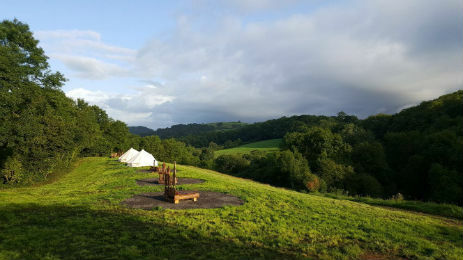 This is a beautiful haven where you can unwind from the hustle and bustle of modern life and where you are left in peace to explore the surrounding area, Our furnished traditional bell tents in our small tranquil campsite, provide you with everything you need as well as kitchen facilities, communal areas and fire pits. You can also sample our award winning organic meat and yogurts produced on the farm. 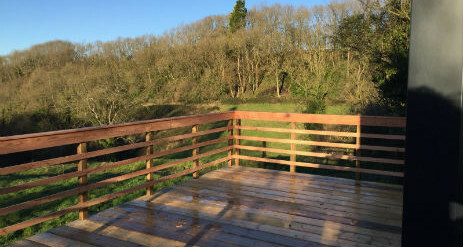 High quality handmade composting toilets which are much better for the environment than flushing toilets, however we do also have a flushing toilet for people who prefer to be more traditional! 2018 will be the first year that we take bookings for a select few weddings. 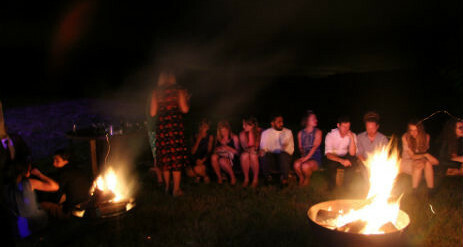 If your vision for your perfect day involves flags flying, fire pits and festival vibes in an idyllic location, we can do something quite special for you. Please get in touch. 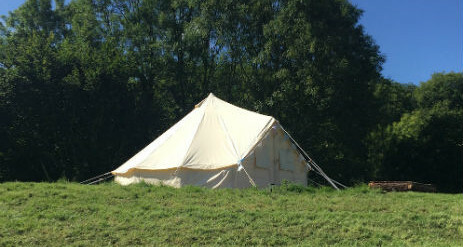 A minimum of 2 tents must be booked for a minimum of 2 nights. During school holidays a minimum of 3 tents must be booked. All bookings of 3 or more tents will have exclusive use of the site. Check in is from 4pm and check out by 10am (late check out can be arranged). 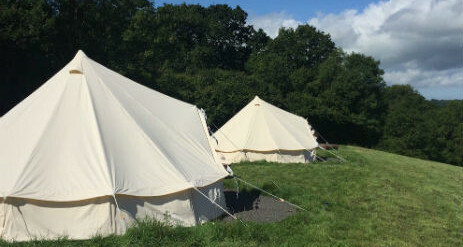 An extra person per tent can be accommodated for £10 per night. 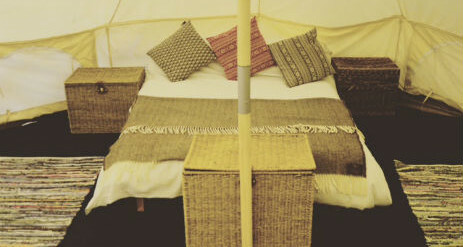 There is a 5 night minimum booking for Glastonbury festival.